In the "Stream Name" field, type in the name for your stream. You can have two streams at the same time but they must have different names. By default the stream name is livestream but you can type in anything. After you have filled in these two fields click the "Connect" button. Type your username and password, and then click "ok". 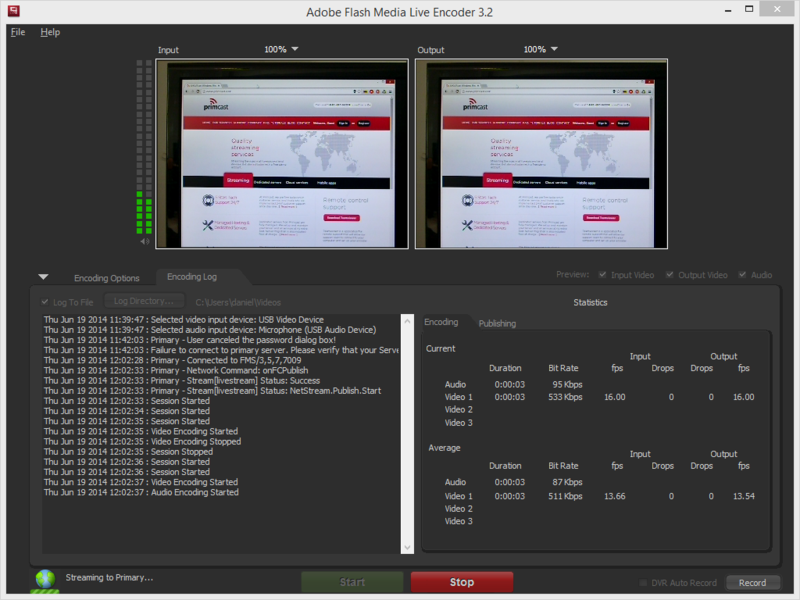 3Choose your video streaming device and bitrate. 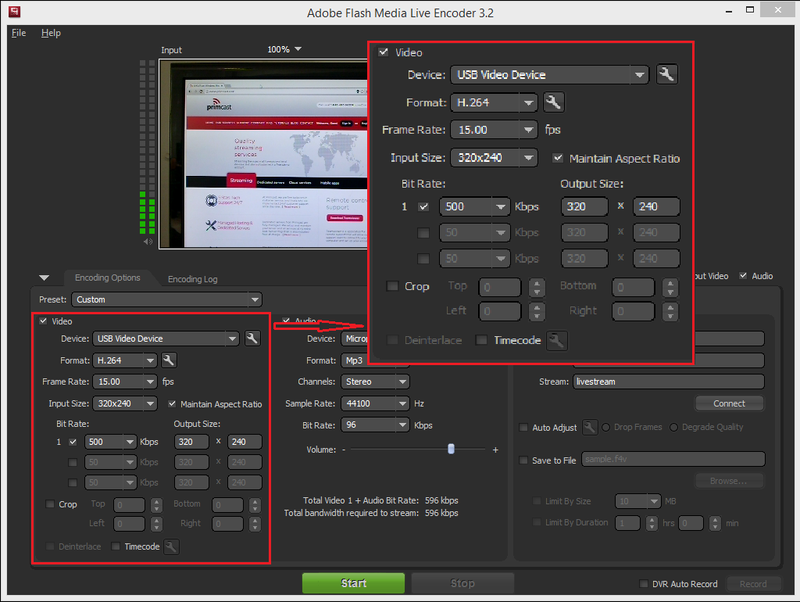 Choose your preferred streaming device from the list, and personalize your video details. 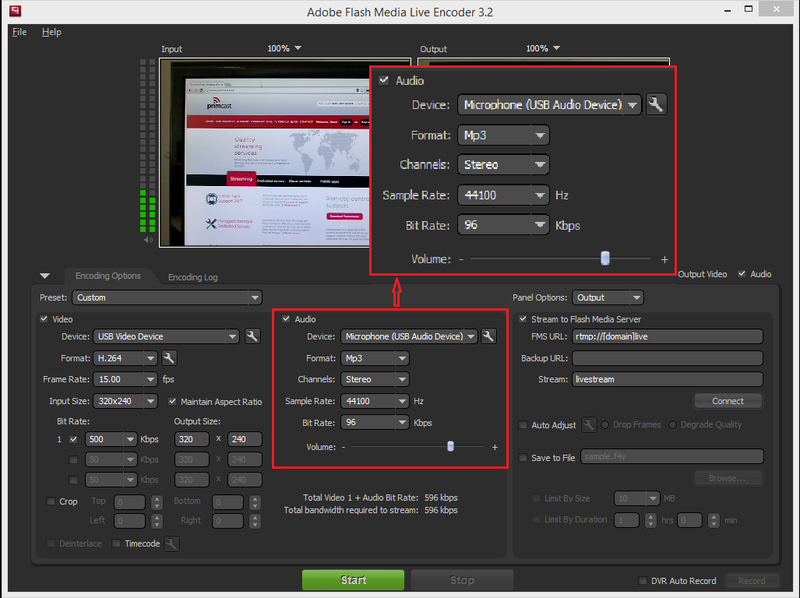 4Choose your audio streaming device and bitrate. 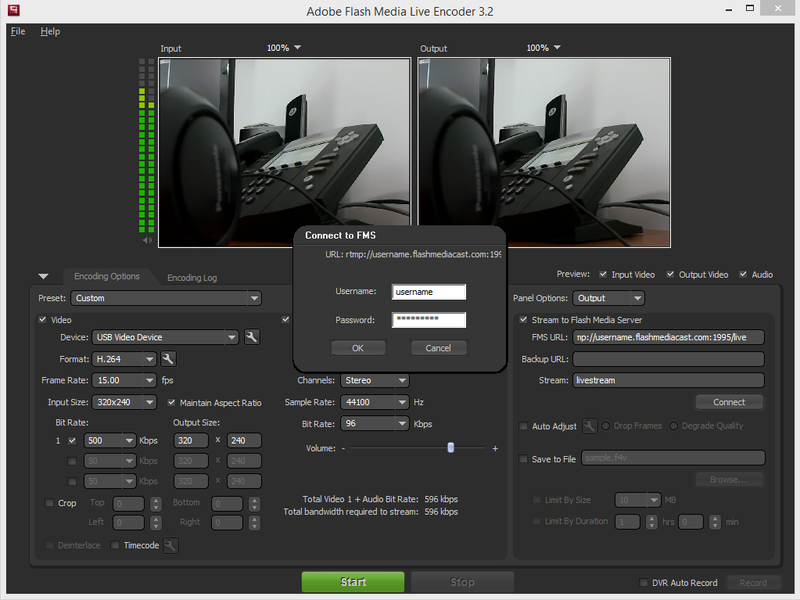 After you reanalyze your settings click the "Start" button to begin streaming. 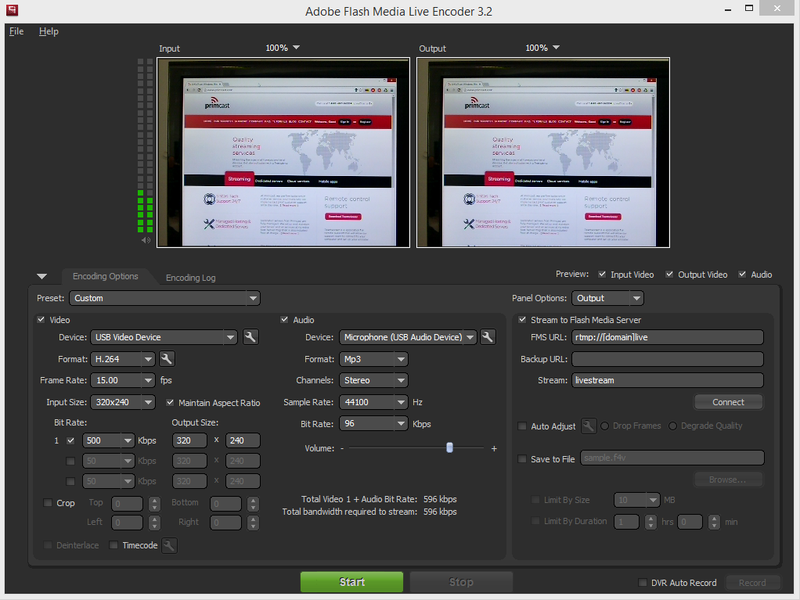 Now you need to place the embedded code for your stream on your website. Click here to generate your embedded code. 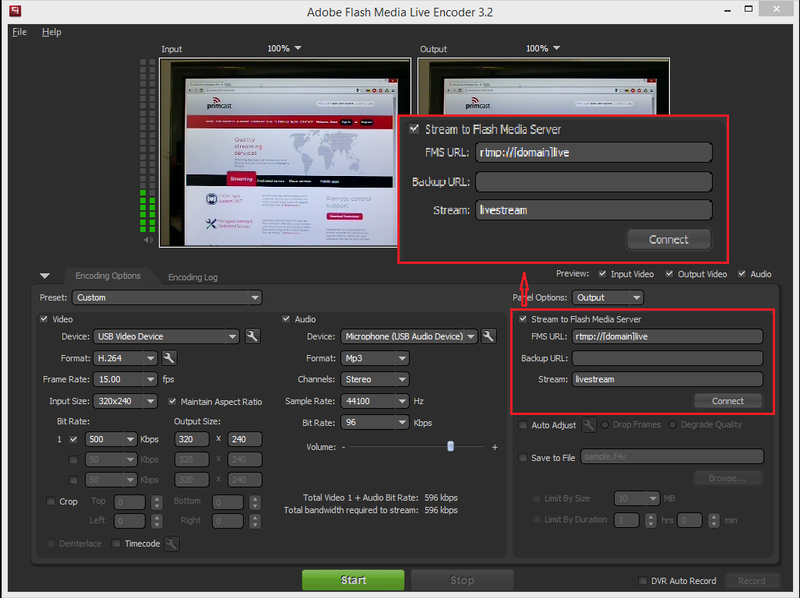 Enter the same URL that you used in your Flash Encoder, and in the field "Stream" fill with the same stream name used in the encoder, but add the ".flv" file extension.